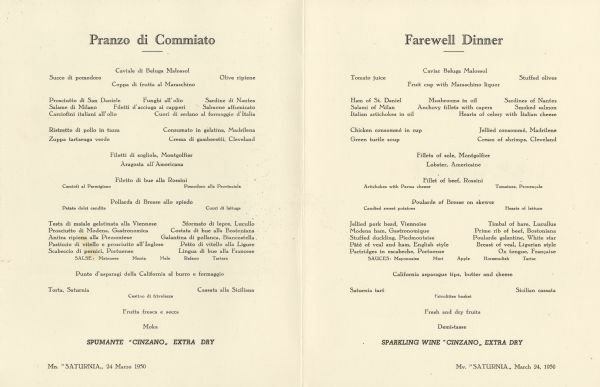 Interior of the farewell dinner menu for the Italian Line ship Mv. Saturnia, with menu in Italian and English. For the exterior of this menu, see Image ID: 109722. For other menus from the Saturnia, see also Image IDs: 109724-109726.